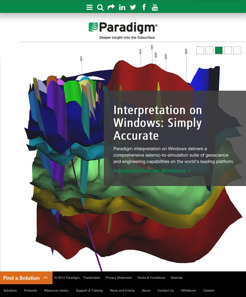 HexaGroup recently completed a website redesign for Paradigm®, the largest independent developer of software-enabled solutions to the global oil and gas industry. With the desire to set it apart from the industrial design that dominates the oil and gas industry, we created the new site to reflect Paradigm’s dynamic, forward thinking spirit in both design and functionality. Responsive design played a major role, as we took into consideration the site’s target audience. For example, users in the oil and gas industry are often looking at sites on very large monitors (1920 x 1080) or mobile devices, so an optimum viewing experience was needed for both. HexaGroup programmed the website to be responsive with a layout that adapts to viewing device and screen, greatly enhancing the user’s experience. 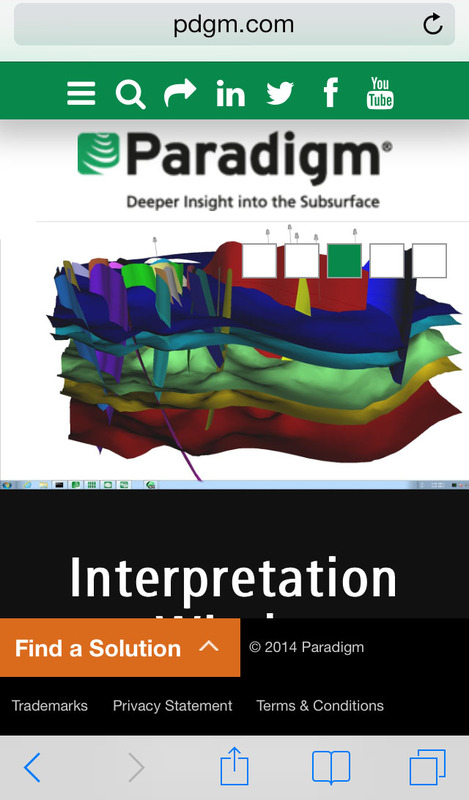 With responsive design, visitors of the Paradigm website have an uninterrupted experience that allows them to easily navigate the site and discover relevant information while also enjoying all of the interactive elements. The Paradigm responsive Web design implementation was unique, as our developers ventured away from the standard “bootstrap” responsive design methodology to offer a very unique, innovative interface. Before this, people associate responsive design with a very particular set of templates that may not look very creative. The new Paradigm site leaves that practice behind. Some of the website’s design features include new and updated graphics, a large-scale photo slider to highlight products and services, and a more appealing and prominent navigation bar. HexaGroup performed the website technical implementation on Kentico Content Management System, a Microsoft .Net platform. Looking to take your company’s site to the next level with Responsive Web Design? We can help you make sure you reach your customer’s no matter what device they are using. Contact us for more information about our website development services.